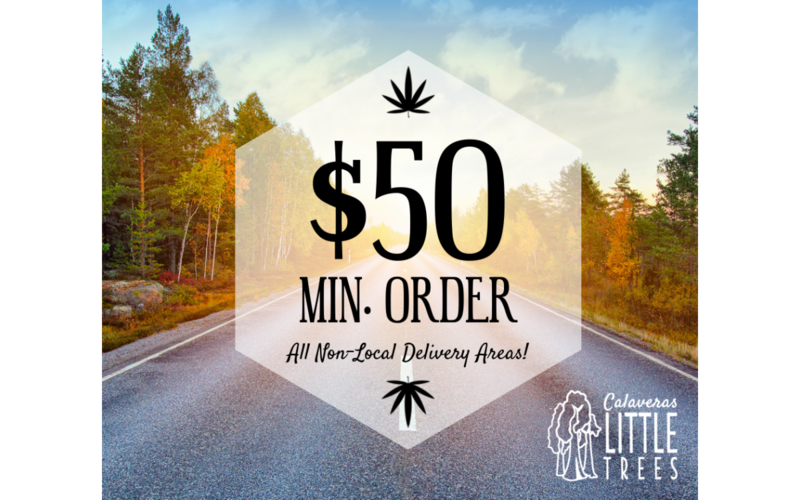 We’re super excited to announce that now all non-local delivery orders are only $50 minimum! You might recall that our delivery service began (SIX years ago!) with minimum orders of $50-150 based on distance from LT HQ. Happily in 2017 we expanded our routes and lowered the minimums to $75 across the board! And now, due to popular demand, all of our wonderful patients in Groveland, Copperopolis, Twain Harte and points between can save some cash while still enjoying Little Trees’ famous customer service, top-notch products, and ease of ordering. And as always, you know the drill…get that order in by 2pm sharp! Have you tried Online Ordering yet?